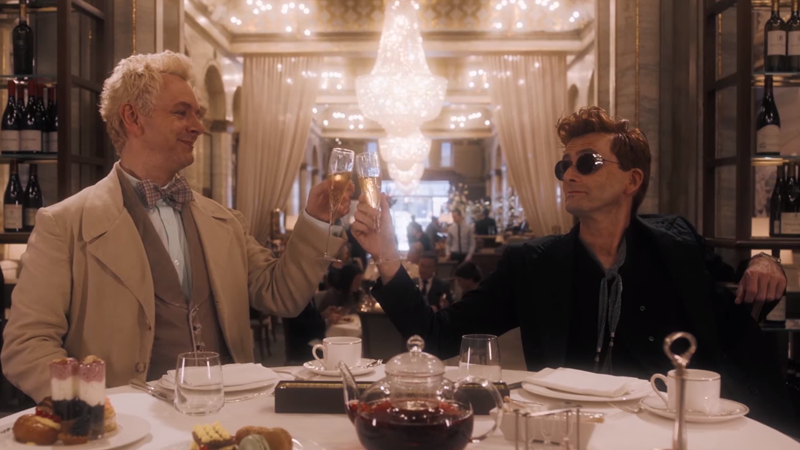 Aziraphale and Crowley having a nice little aperitif before the end of the world. While our actual reality might feel like these are the end times, the very first trailer for Amazon’s live-action adaptation of Neil Gaiman’s Good Omens is here to remind us all that, ironically, the actual apocalypse would be much, much more lighthearted. The Anti-Christ walks amongst us in the world of Good Omens but, despite the force of evil’s greatest plans, he’s lost in the wind, and everyone’s hellbent on finding him in order to further their own (pro or con) apocalyptic agendas. Good Omens hits Amazon in 2019.